Pittsburgh may be at the top of a lot of lists – best place to retire, 10th most romantic city in the US, most liveable city. However, Pittsburgh and the entire state of Pennsylvania are WAY behind when it comes to women in politics. You can help to change these numbers – vote, support a candidate, run for office. 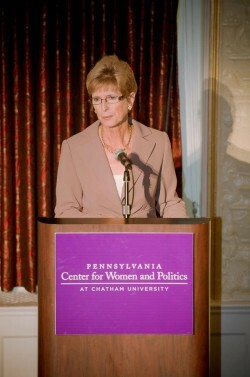 For starters – get to know the Pennsylvania Center for Women and Politics, which happens to be housed right here in Pittsburgh at Chatham College. The PCWP is a nonprofit’s organization with the goal of getting more women involved in politcs. This weekend they will be hosting a “Ready to Run Campaign Training for Women” workshop to help women who are thinking of running for office get started. Even if you don’t think you want to run for office – this is worth checking out. The more you can learn about campaigns, the better equipped you are to help others who are running for office. Click here to get all of the details on this weekend workshop from PopCity Media. The Center for American Women in Politics at Rutgers website has lots of state by state fact sheets.